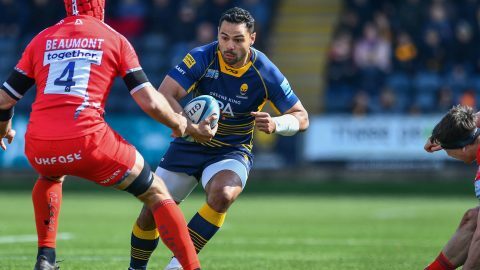 Warriors have scooped a prestigious national award for the pioneering work of the Warriors Community Foundation in making Sixways a dementia-friendly place. Warriors were named Dementia Friendly Organisation of the Year -Small and Medium category at the National Dementia Friendly Awards held at The Royal Horseguards in central London on Thursday. The award recognises the range of ground-breaking dementia initiatives that have been introduced at Sixways since January 2017 including running a weekly Tackling Dementia Sports Café, proving a safe place on matchdays for vulnerable people of all ages to watch matches and appointing Simon Northcott, Warriors Disability and Inclusion Lead, as the Club’s first Dementia Champion. First team lock Darren Barry has been appointed the Warriors’ ambassador for Tackling Dementia and is one of 130 dementia friends – which includes staff and Young Ambassadors – at the Club. “This is a huge honour and a lot of credit goes to the Community Foundation and Simon Northcott and his team. They can be very proud of what they have achieved in barely a year,” Barry said. “As players we get a lot of spare time, Wednesdays are traditionally our day off and rather than sitting at home playing on our games consoles or twiddling our thumbs it’s a good opportunity to get involved in the community. “For me the Tackling Dementia Café is particularly poignant because I have a grandparent who has the early on-set of dementia and memory loss. So it’s not a chore or an effort for me to come out and help people. Warriors took the Dementia Award ahead of the The Phoenix Cinema in East Finchley and Places for People Leisure Ltd at the Ripley and Heanor Leisure Centres in Derbyshire to the delight of Northcott. 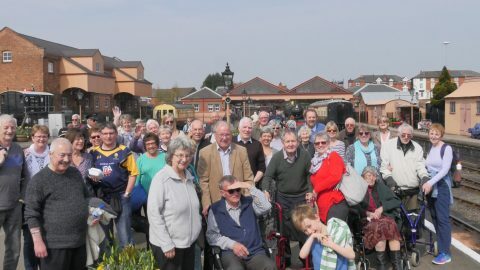 “The Tackling Dementia Café is a social gathering for people living with dementia to help them live well with dementia and to give some respite to for their carers,” he said. “We don’t charge. We try to get people active and they can do as much or as little as they want to. It’s just good fun. The Dementia Friendly Awards, which were introduced in 2013, celebrate and showcase the achievements of individuals, groups and organisations across the UK who have led the way on creating dementia friendly communities and improving the lives of everybody affected by dementia.